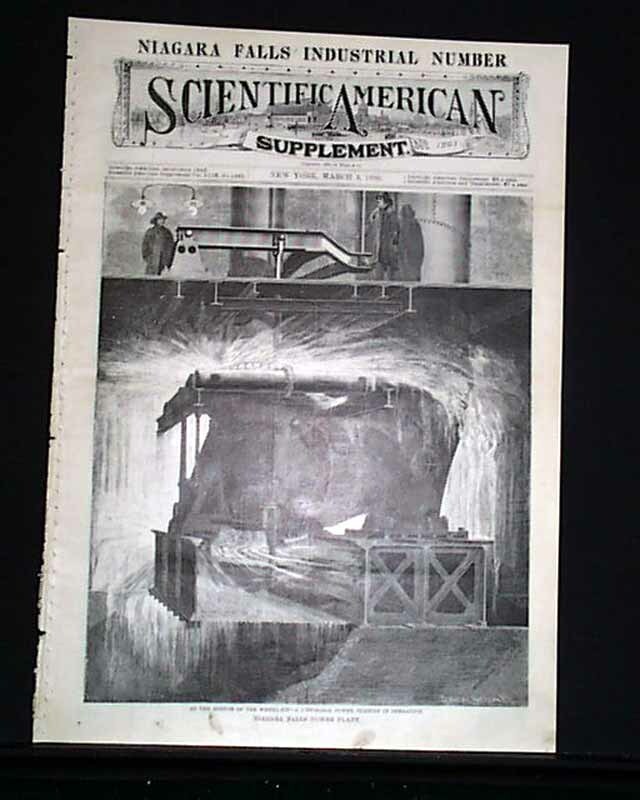 SCIENTIFIC AMERICAN SUPPLEMENT, New York, March 3, 1900. 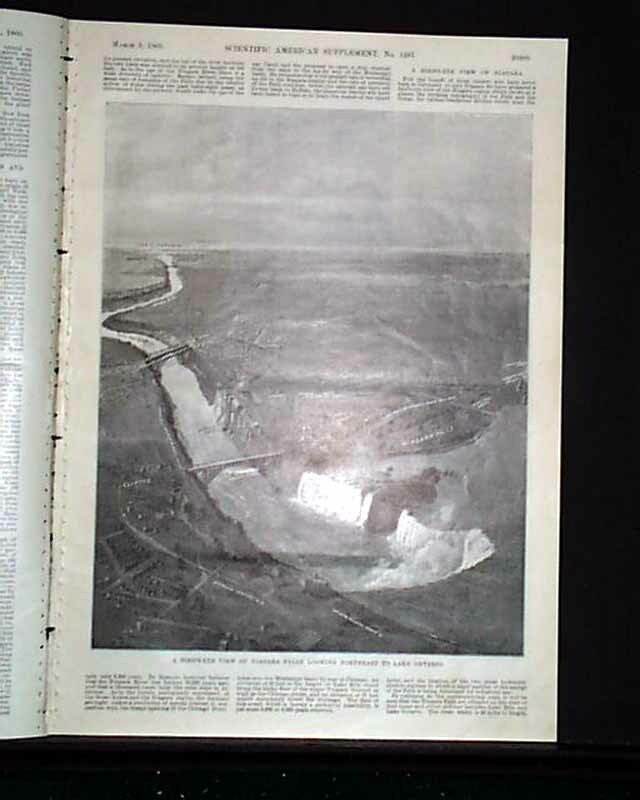 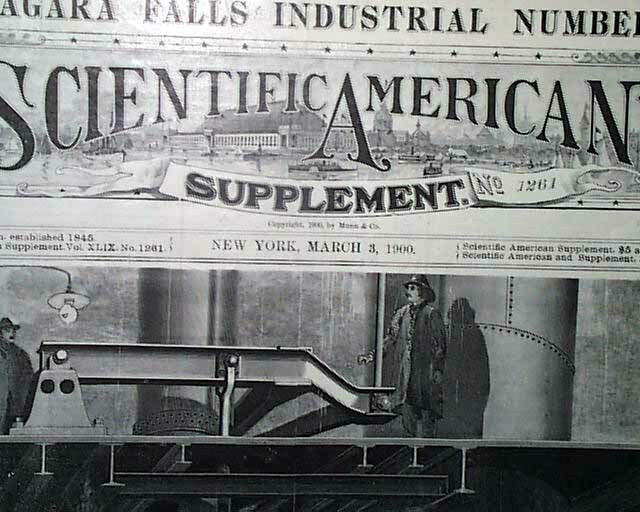 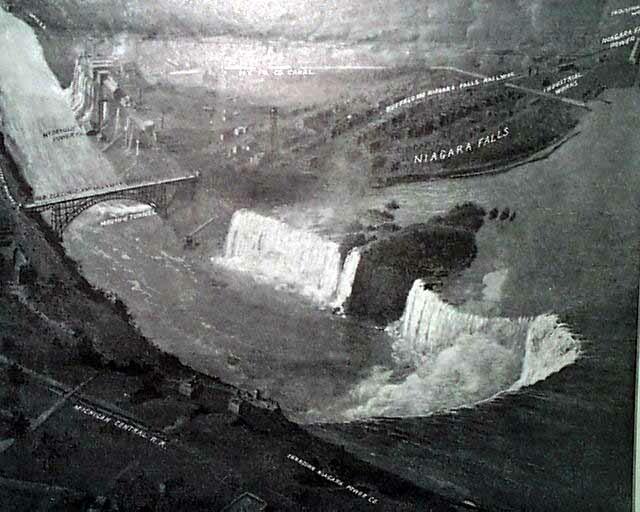 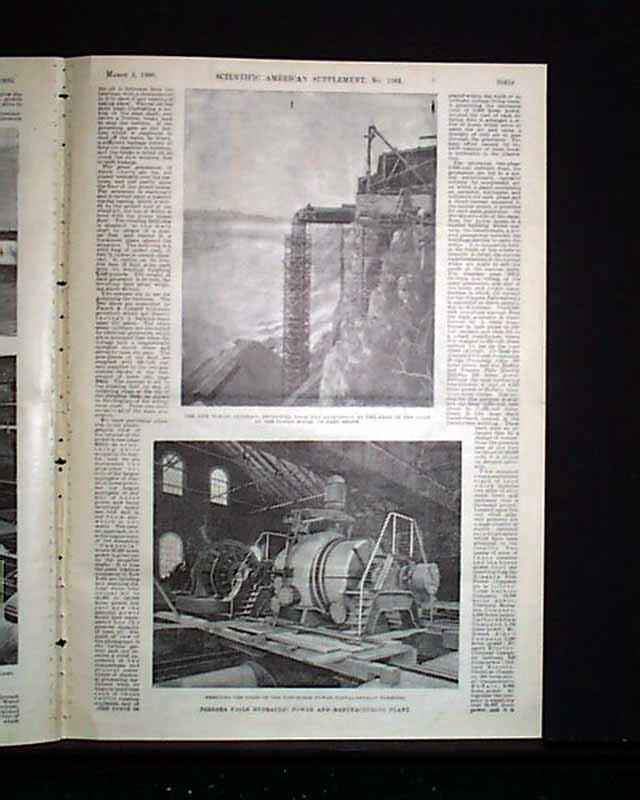 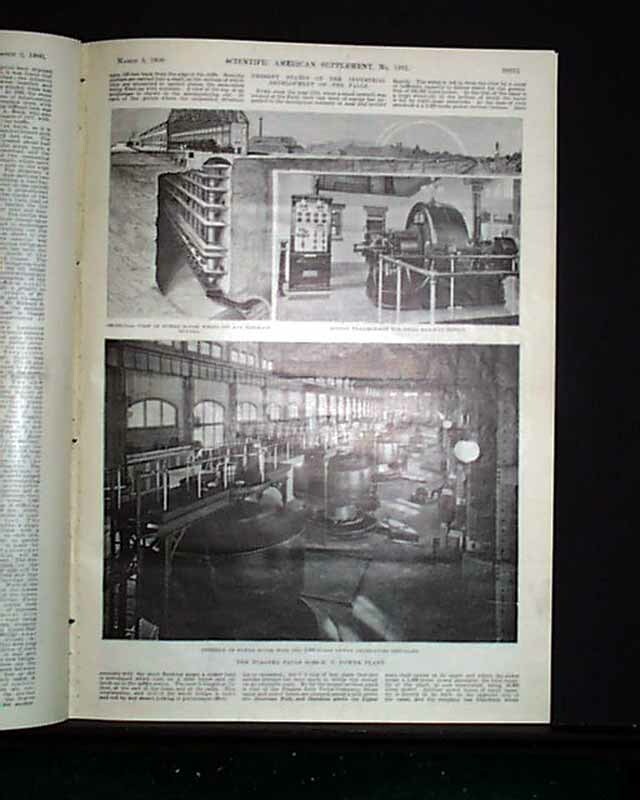 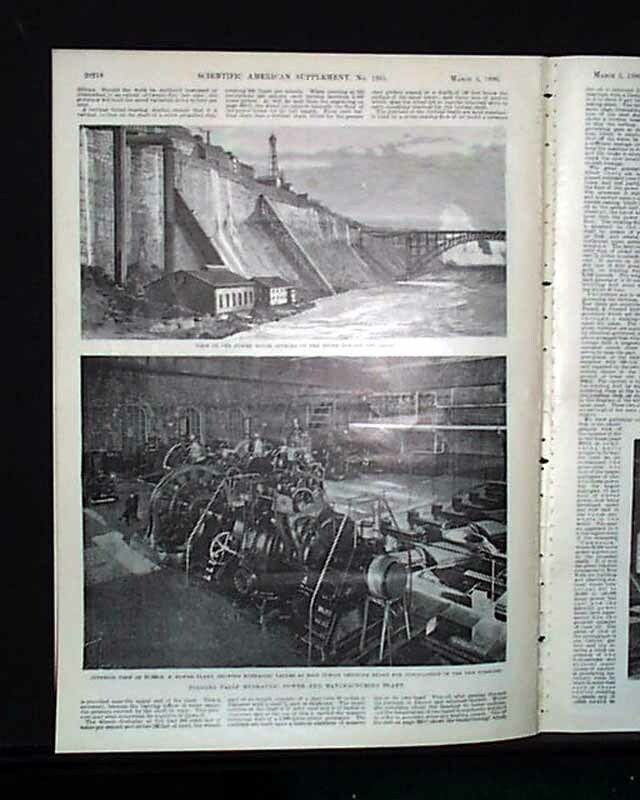 This Niagara Falls Industrial Number front page of this issue contains NIAGARA FALLS POWER PLANT with additional articles: Bird's-Eye View of Niagara Fall's, Electric Railway Through Niagara Gorge, the Cantilever Railroad Bridge across Niagara Gorge and more. 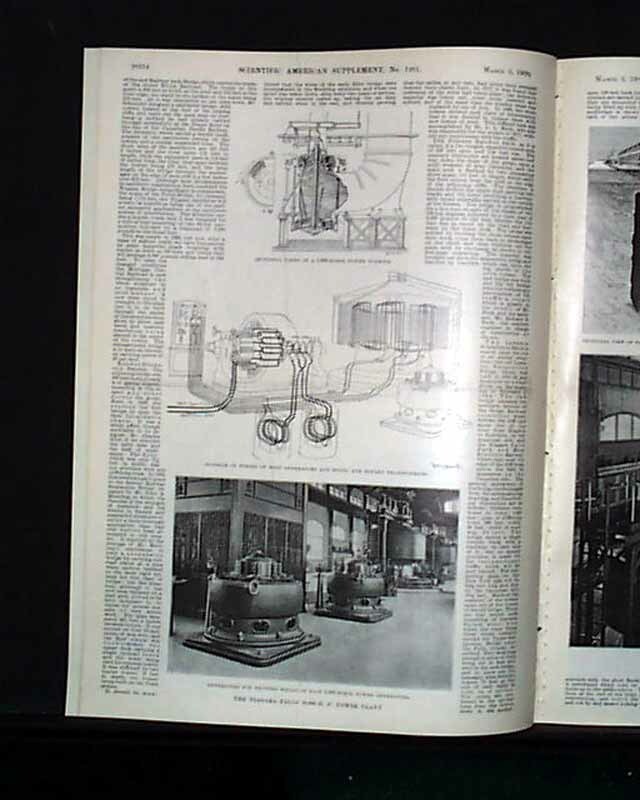 Complete in 16 pages, measuring about 11 by 15 1/2 inches, has very tiny binding holes along the left spine, otherwise in very nice condition.